Writer-director Stephina Zwane’s Baby Mamas takes a closer look at four women who share all their experiences on the joys and woes of being single Moms, while still searching for true love. 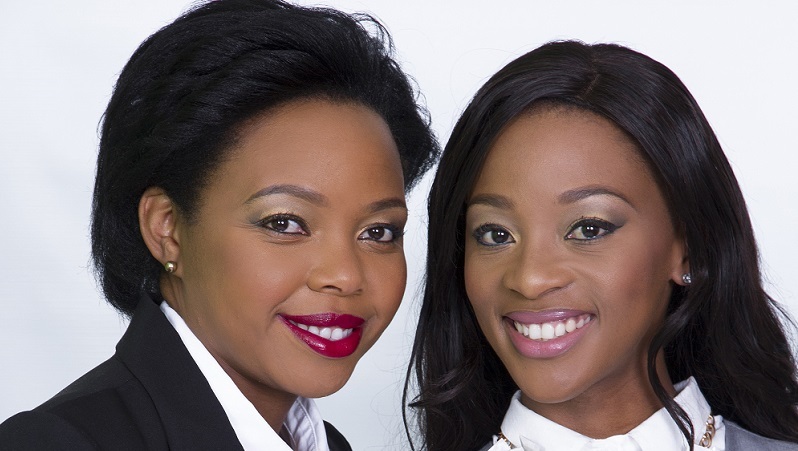 Two of South Africa’s most dynamic women, Stephina Zwane and Salamina Mosese are not afraid to push the bar as producers and think outside of the box. As young black women, they are able to bring to the fore topics in their films, that are relevant to society, in a fun and unique way, and in this way, they are have developed into storytellers who are bringing to the fore stories that are both entertaining, thought provoking and compelling. Their first foray into film saw the pair produce their first feature film, titled ‘Love and Kwaito’, written and directed by Zwane, which was first screened at the Nasrec Youth Expo (9- 17 June 2016), and was later one of the official selections for two local film festivals, namely the Johannesburg film festival and the Mzansi Women’s Film Festival. 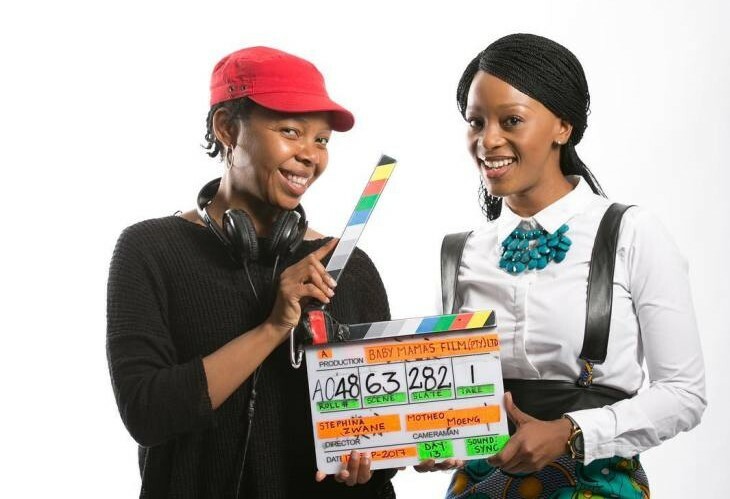 Their latest project, Baba Mamas was funded with the assistance of the IDC (Industrial Development Corporation), the DTI (Department of Trade and Industry) and the NFVF (National Film and Video Foundation), under the Emerging Black filmmakers’ fund. Baba Mama follows the daily lives of four (middle class) friends, played by Mosese, Mdoda, Dineo Ranaka and Kay Smith, as two of them struggle with the challenges that face single mothers, another finds out she’s pregnant, and the other grapples with the fallout of an abusive relationship. Four women share all their experiences on the joys and woes of being single Moms, while still searching for true love. This is a comedy drama revolving around the daily lives, loves and drama of four professional women who are all in different stages of their own real-life baby mama drama. She says of the film’s four female lead characters. “I’m tired of images that don’t celebrate me as an African that constantly shows me lacking and struggling. This is not all that we are”. Stephina Zwane’s career in media started with her in front of the camera. After over thirteen years acting on various Television dramas such as Gaz’lam, Backstage and Scandal, she made the gradual transition to writer and director. Following a successful debut feature film, Love and Kwaito (Mzansi Magic), she penned Baby Mamas. Her love for directing is spurred on by how it allows one to not only tell the story one wants to tell, but also by how it also allows one to tell the story how one wants it to be told. As a Writer- Director Zwane believes she is able to provide a perspective she has not seen much of in storytelling; that is the female perspective or experience. Directing also means she is able to work with amazing talent and learn from them and watch the story coming to life with the help of the crew and talent.
. She believes one of the most important roles a director plays, is in giving insight to the story that others on set might not have thought of. On why Stephina wanted to tell the Baby Mama story, she says she had always come across the term Baby Mamas in a negative light. What was confusing for her was that the Baby Mamas she knew were all amazing women, doing their best to raise their children in the best way they knew how. She wanted to highlight this in the Baby Mamas story. She believes that in one way or another we have all been raised by a Baby Mama, or know a Baby Mama, so it’s important to highlight this and shift the thinking on this topic to one that is more positive. Many believe that directing is a super power but as a relatively new director Stephina is not sure if she has developed her directing super power yet, however having been a performer in the past, she is able to build a special relationship with her performers on the director’s floor. As such she is able to spot potential and see how great that talent can be and how to further bring out the best performance from the talent. Stephina’s main inspirations are women in media such as Oprah Winfrey and Ava Duvernay. These amazing women have been able to shift the industry as we know it, one by building a media empire, the other by promoting inclusion of women in positions previously only reserved for men. Like these women that she admires, she too wants to make a difference, especially where African stories are concerned. “We live on a continent that is rich in so many things including story. I am excited because we need to move in the direction where we have a pan-African approach to our stories and in understanding that the market is both across the continent and global too”. Many of the male crew members on the Baby Mamas set remarked that for many of them, it was the first time that they were working on a feature film with a female director. These are the sort of stories one hears about in Hollywood and it’s a known fact that Hollywood still has a sexism problem — especially when it comes to female movie directors. One hardly needs a magnifying glass to peer into the murky, misogynistic waters of the matter, yet South Africa is no different. Zwane believes that South Africa doesn’t have enough female directors who are working as directors. “If you’re a woman and you want to be a director, chances are you have to write your own film or story and then direct it, like I have. The industry is not as inclusive as it can be on female film directors and we have a long way to go. The talent is there, what we need is opportunities to be made available to us. The same applies worldwide; Hollywood is currently making noise about inclusion, some spaces are shifting and opening up to female directors, but there’s so much more that still needs to happen.